Watch video to see what you are missing! 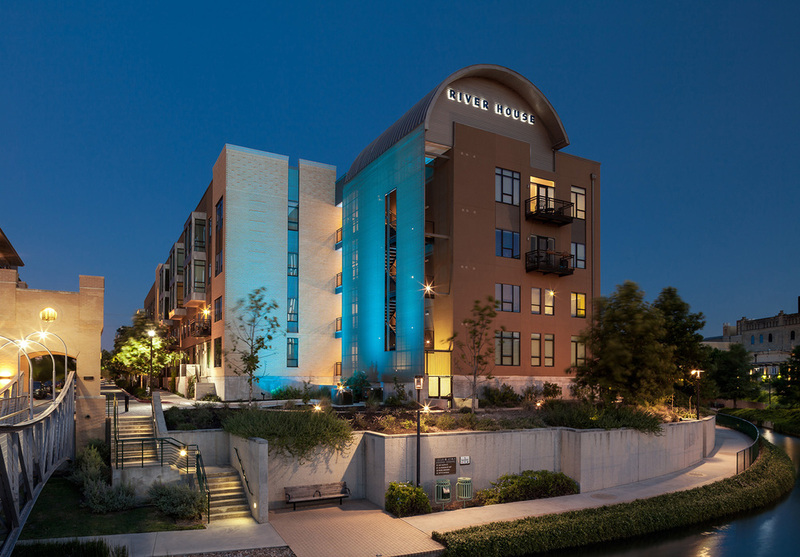 The River House is currently offering new, urban apartments for rent on the Museum Reach of the San Antonio River. These downtown San Antonio apartments are the only property located on the river, offering the ultimate address. The River House Apartments offer spacious living with all the finest finishes and features you deserve. Hang out on our fourth floor terrace overlooking the San Antonio River and downtown – the perfect spot to meet with your neighbors, enjoy some time in the sun, or take in the wonderful views of the San Antonio River. Bring a meal up to our separate dining terrace. It’s a comfortable space for smaller get-togethers, but with the same amazing convenience and views of the larger terrace. The infinity-edge pool includes a beach entry and tanning deck with plenty of room to enjoy a nice swim. Host a party or gather with friends and neighbors in our wonderful clubhouse with its own commercial kitchen and big-screen television. Your pets will also be able to enjoy themselves with a fenced-in, off-leash dog park available on the grounds. After a busy day, take some time for yourself in the state-of-the-art fitness center, which features PreCor cardio equipment to keep you active. Call or email to schedule a personalized tour of these sophisticated apartments today. © Copyright 2019 River House. All Rights Reserved.